With his new show on FX 'Atlanta' dropping next month on September 6th Donald Glover is set to be the one to watch all this Fall. 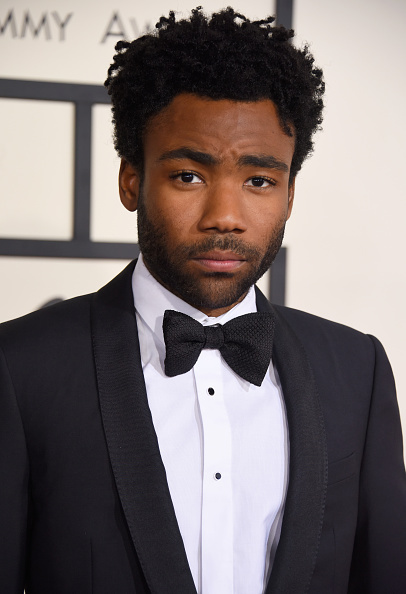 Glover created, stars in, executive produces and co-wrote 'Atlanta' and it is his latest project coming off his breakout roles in The Martian and Magic Mike XXL. Under his rapper moniker Childish Gambino, Glover is set do his mini-tour entitled Pharos where he'll be performing three nights at Joshua Tree releasing new music. His impending year also includes being officially announced to the upcoming 'Spiderman: Homecoming' film. 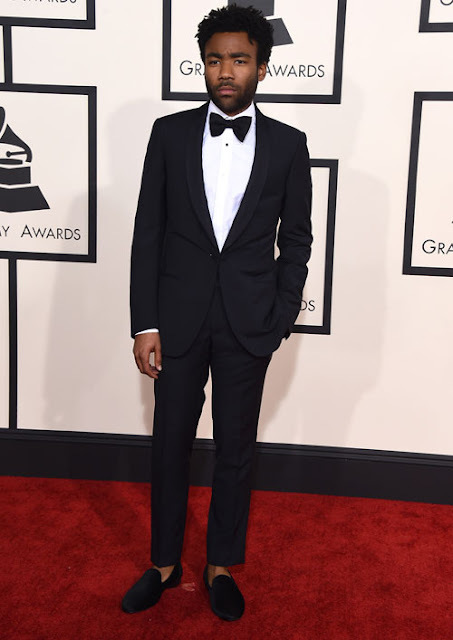 Glover's style over the year has evolved from college hipster cool to grown man steez. Even from time to time growing out a beard which also adds a different element to one's style all together. When you see Donald Glover this Fall doing interviews, at award shows, and red carpets pay close attention to what he wears. He abides by his own style rules yet keeps the classic cool look you need to steal for your fall wear. 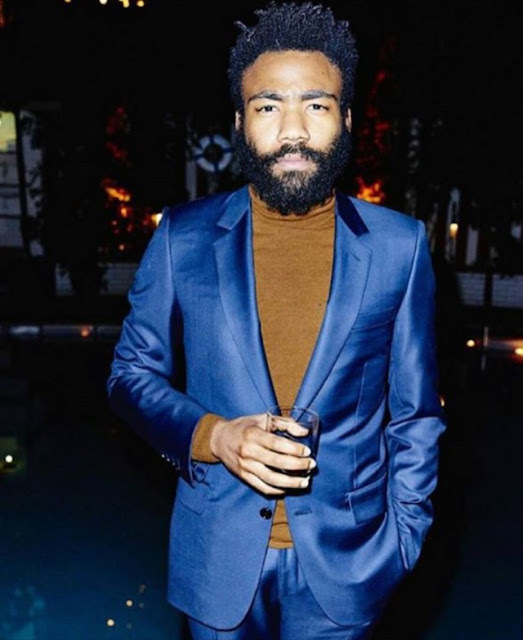 With a drink in hand Donald Glover is here at the 2015 GQ Man of The Year Party giving us the ultimate look on how to wear a suit with out a tie. He looks established with a full beard, a dark blue blazer, and a mustard brown turtle neck. Not wearing a tie with your suit while your out on the town gives you a more casual look. It gives off the vibe of you're here for more pleasure than business and that sometimes can be a good thing. Yes, you'll need a summer suit because the weather doesn't always catch up to the seasons in early Fall. 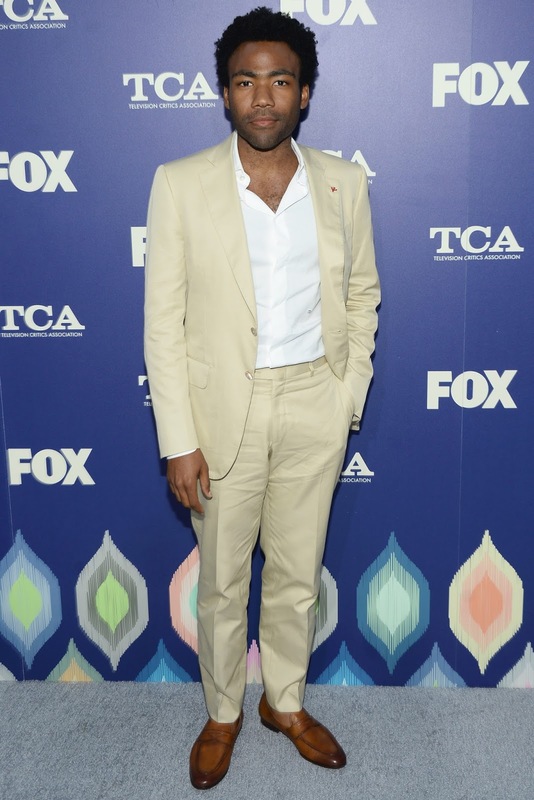 Here is Donald Glover at the Fox Summer TCA Press Tour wearing a simple suit complemented by brown dress shoes. So keep a light suit in your arsenal for those summer-like days in Fall. 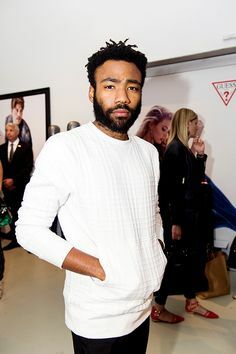 Donald Glover had mastered the art of dressing for comfort and style. His wardrobe never feels out of place as if a stylist has forced their choice on him. He is his own man, as you should be. If you don't feel like rockin' a suit to every event don't. Also you don't have to compromise your style for comfort, find a happy medium. Donald Glover at red carpet events usually wears a suit with a little twist to his style. The look he pulls off here is a gray double breasted suit, a white dress shirt with no tie. You don't have to wear every suit with a tie and you can even have top button unbuttoned and still look classy. Just take a cue from Donald Glover. You really can't beat the food at this event space San Francisco; they have the best vegetarian meals and the most adorable dishes for the kids. The service also was impeccable. The salad I had for dinner was delicious as well as the scallop appetizer. The main course of filet mignon and dessert soufflé was also awesome!